For information about the booking process and rates, please contact the Venue Manager by email mtwright@uiwtx.edu or by calling (210) 829-3855. If you would like to learn more about the venue specifications of the Luella Bennack Music Center, please look at our Use of Facility Handbook. It is strongly recommended to look at the Use of Facility Handbook before submitting any inquiries. 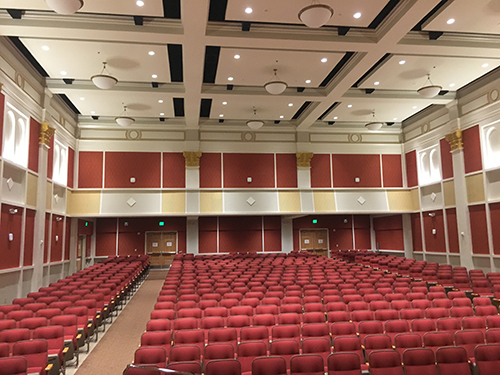 The rental fee for Luella Bennack Music Center facilities will vary depending on the type, size, and location of the event. Some addition charges may apply, depending on the resources needed to fulfill the request. Typically, the rental fee for Seddon Recital Hall start at $120 and for the Concert Hall, they begin at $200. Please note this is the minimum charge and may be less than your final rental fee. The Venue Manager will provide a breakdown of the charges for your convenience.